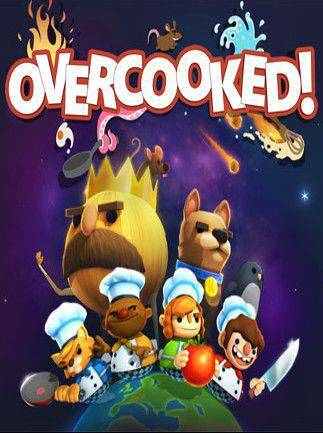 Buy Overcooked for Steam on GGlitch.com | Fast, secure and easy! 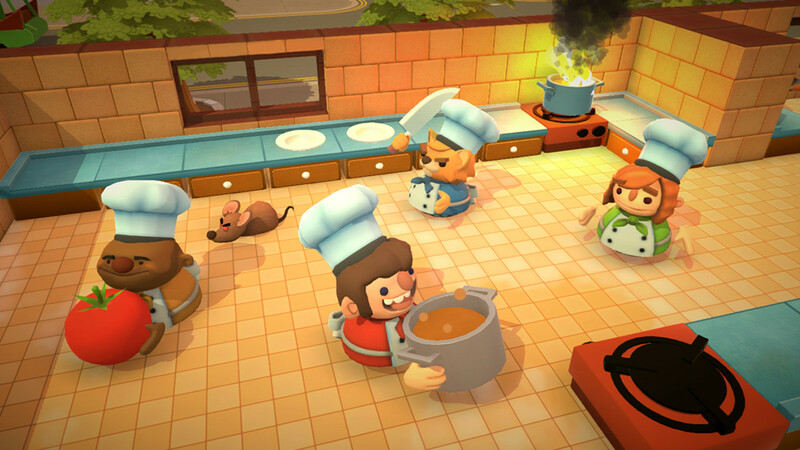 The Onion Kingdom is a rich world full of cruel and unusual kitchens for you to conquer. 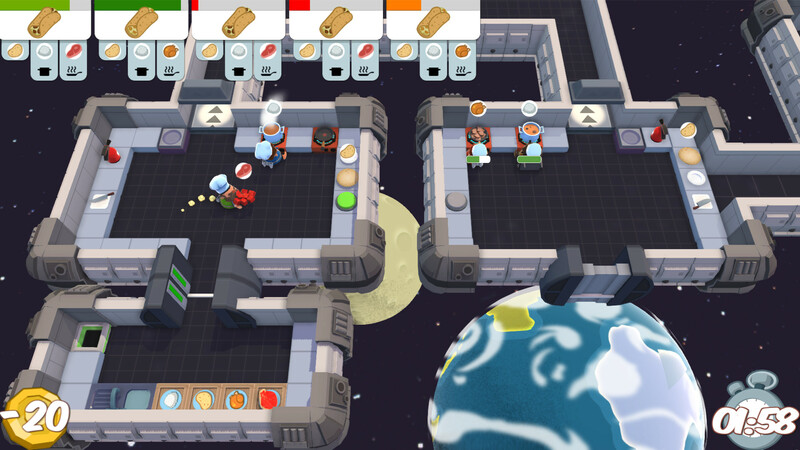 Take part in an epic journey and tackle an increasingly challenging and bizarre gauntlet of kitchens which will push your skills of co-operation and co-ordination to the very limits. 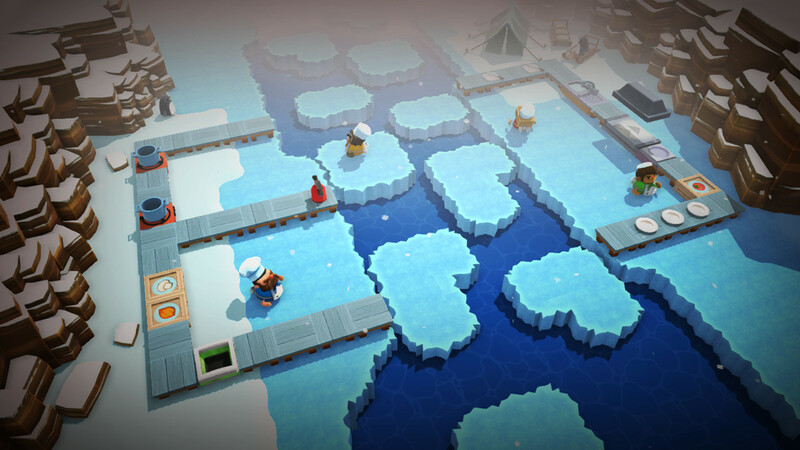 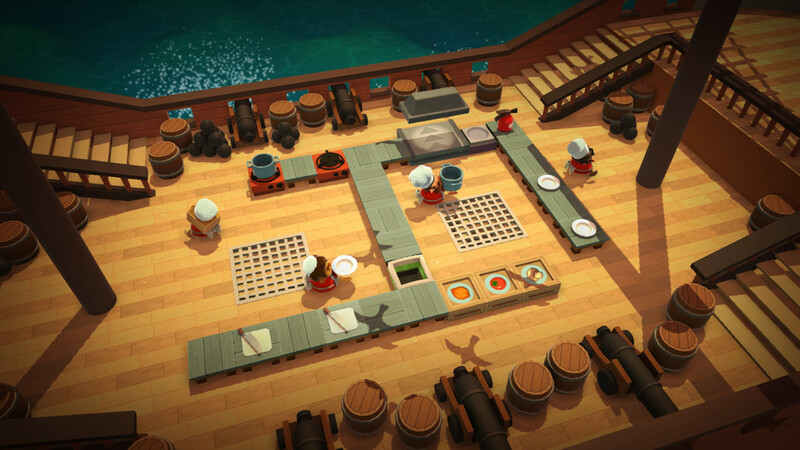 Each level brings a new challenge for you and your team to overcome, whether it's sliding around on a pirate ship, moving between speeding trucks, cooking on an ice floe or serving food in the bowels of a fiery underworld, each level will test the mettle of even the bravest chefs. 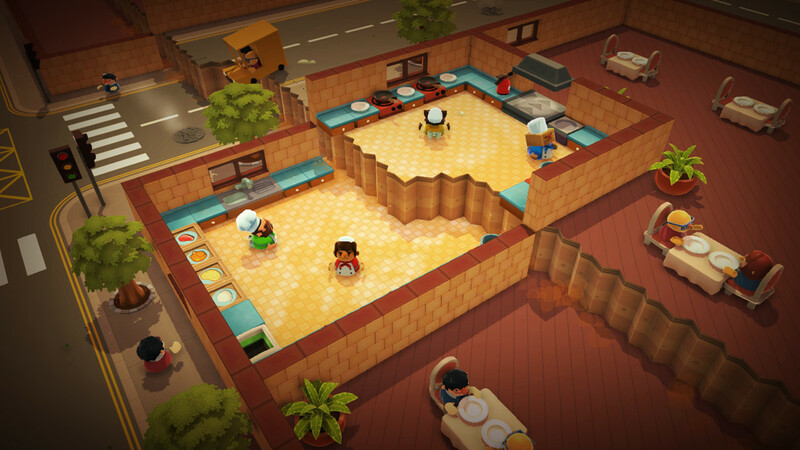 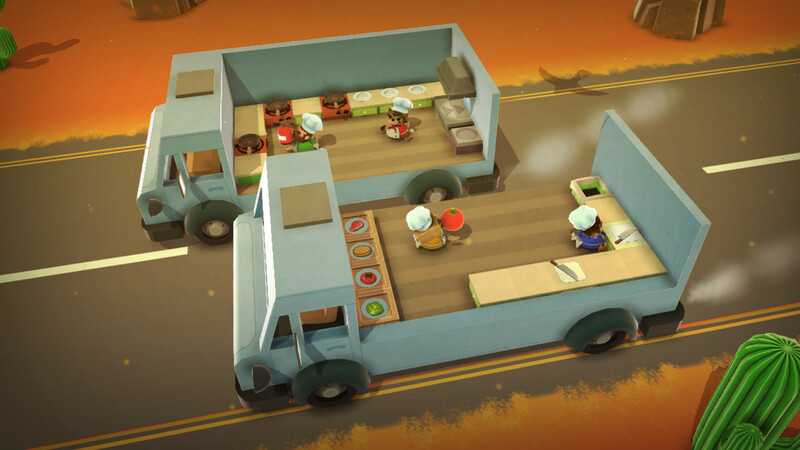 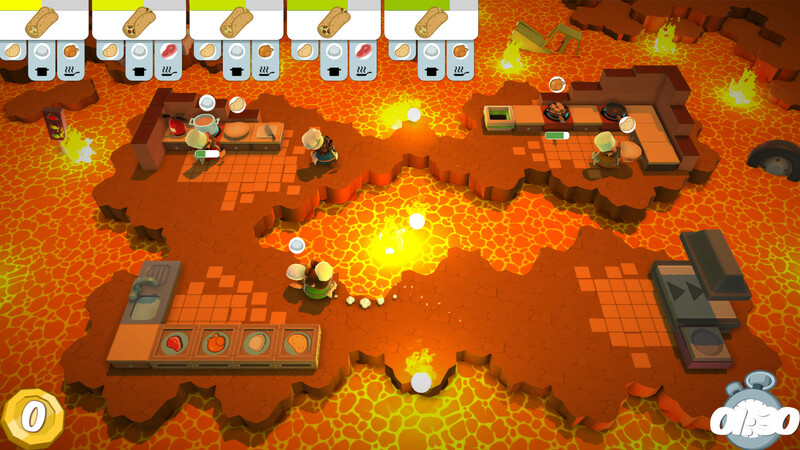 Overcooked is so easy to pick up that anyone can join in the fun, but finding a team who can communicate and co-ordinate their actions when the pizza hits the fan, that's when only a well-oiled team of super-chefs will come out on top! 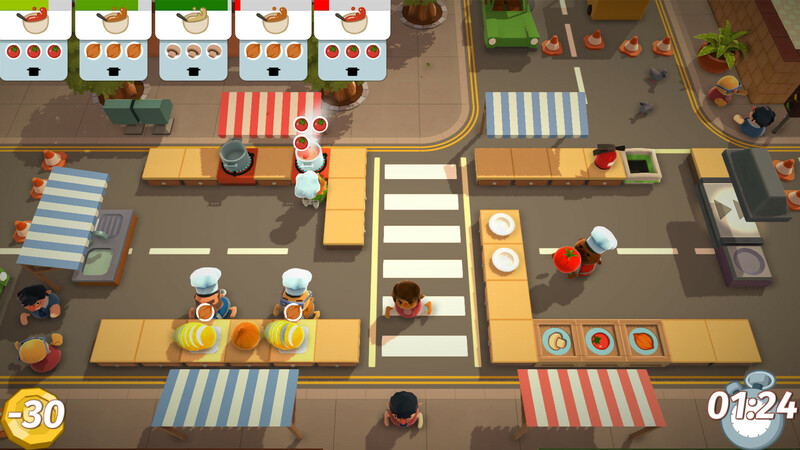 Whether indulging in deep fried local co-op or sautéed single player, as you play through the game you'll unlock new levels, new chef characters and even competitive challenge levels which allow teams of two to engage in hard boiled head-to-head in the kitchen. 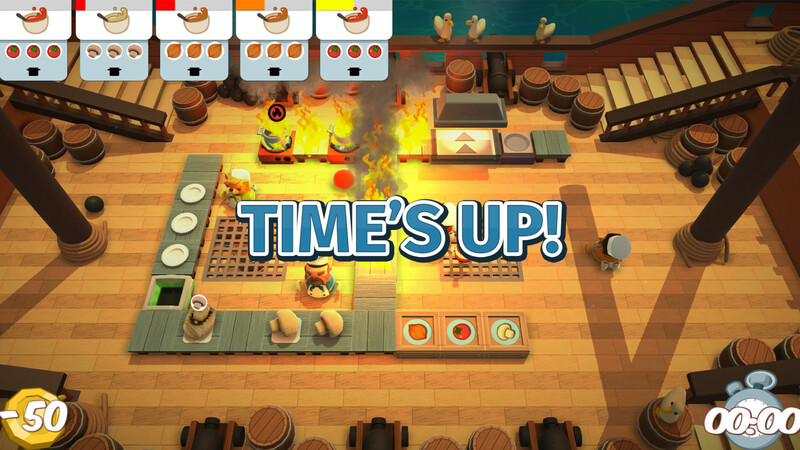 However you want to play, if you think you can stand the heat, then get ready to enter the kitchen!